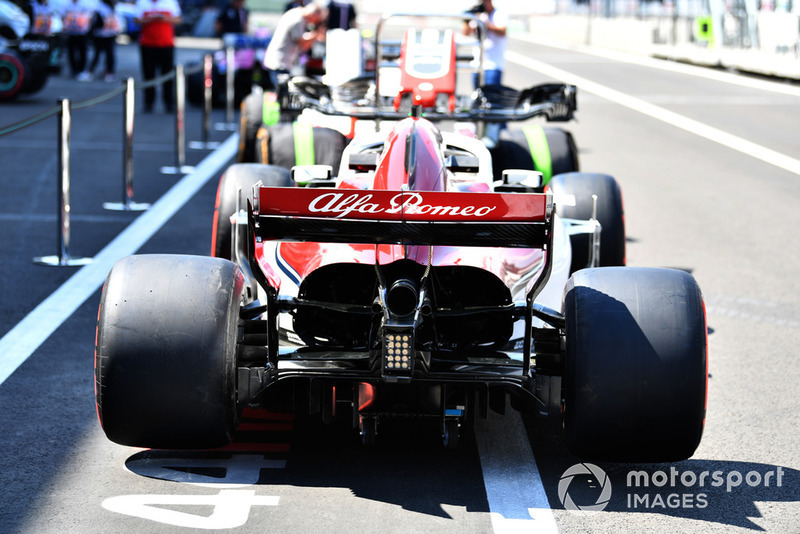 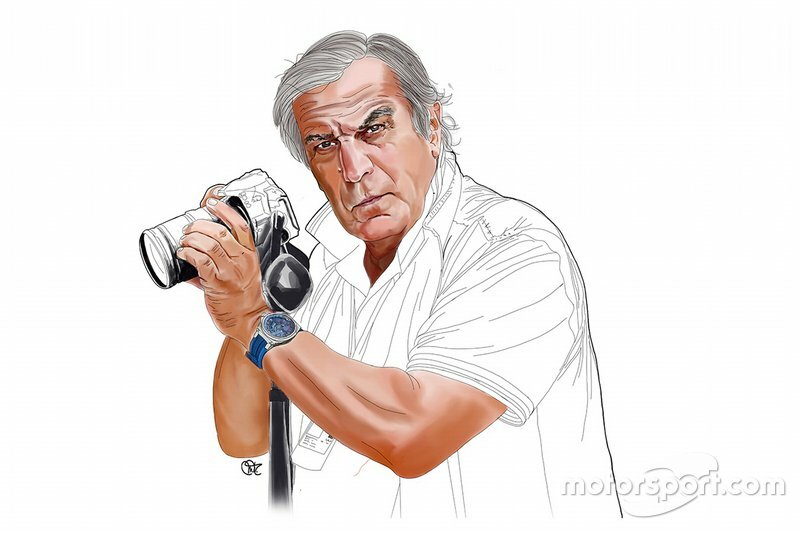 Giorgio Piola and Sutton Images bring you the Formula 1 technical updates on show in the Mexican GP pitlane, giving insight into the relentless development undertaken by the teams in pursuit of more performance. 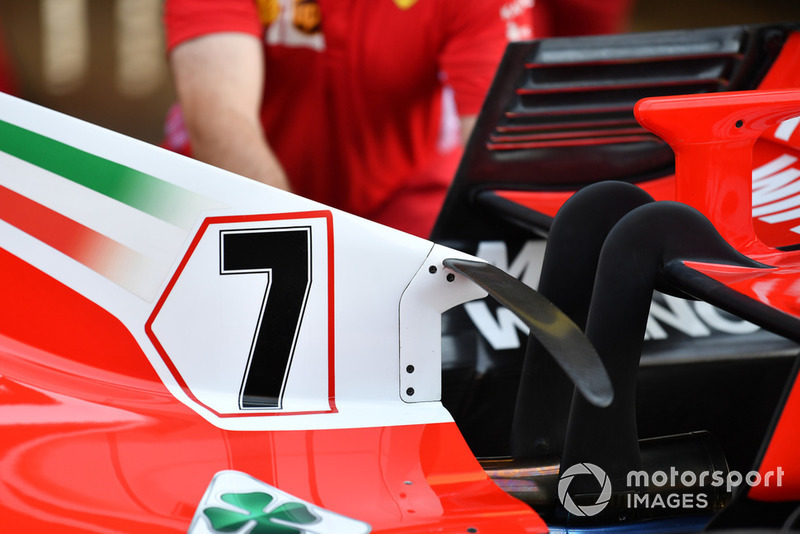 A look at Ferrari’s turning vanes which were introduced as part of a larger update package for the Russian Grand Prix. 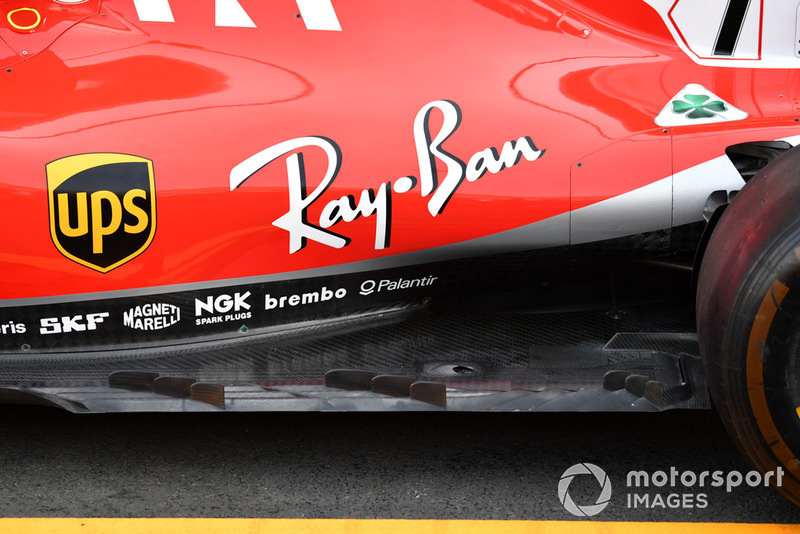 It's a not a new concept, but it is worth noting Ferrari’s arched T-Wing, hung from their engine cover. 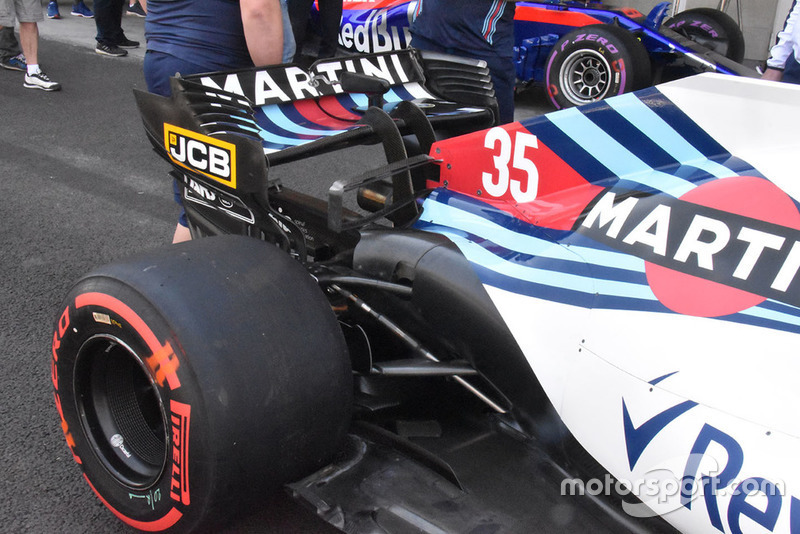 There is an extremely large engine cover cooling outlet at the rear of the Sauber C37 to help with heat extraction, which is more of an issue at high altitudes. 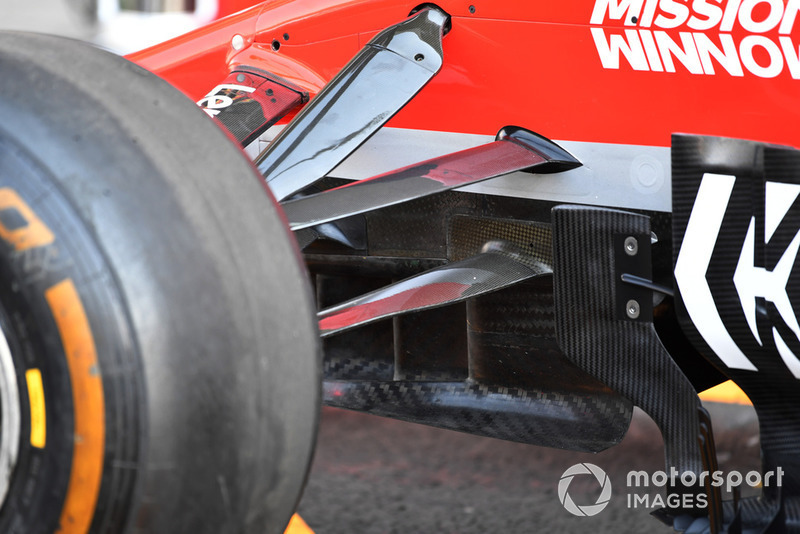 The row of fins placed on the outer edge of Ferrari’s floor was seen briefly in the USA but wasn’t raced and will be tested further in Mexico. 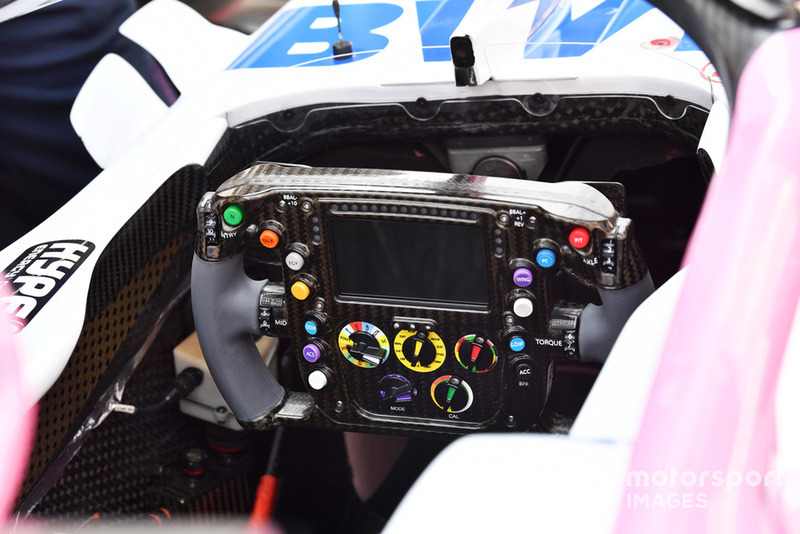 An overview of a Racing Point Force India steering wheel with the various buttons, switches and rotaries that adjust the settings on the powerunit on display. 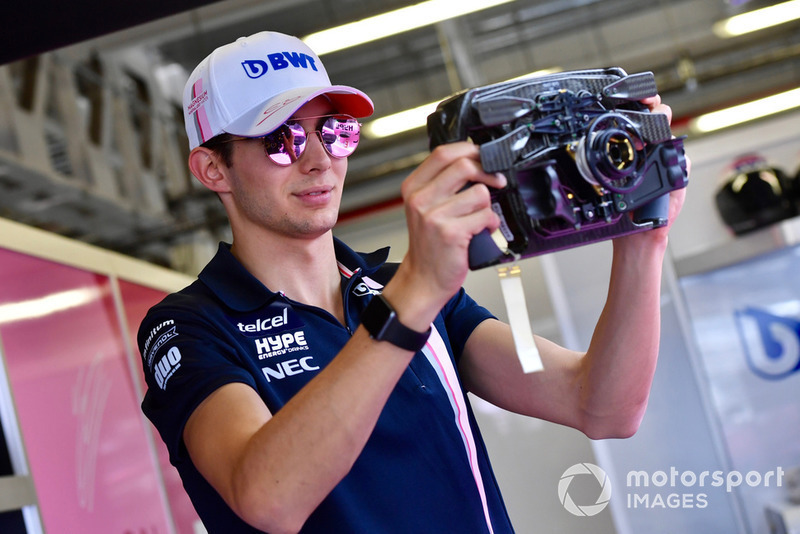 A look at the rear of the Force India steering wheel reveals details on the clutch and gear shift paddles. 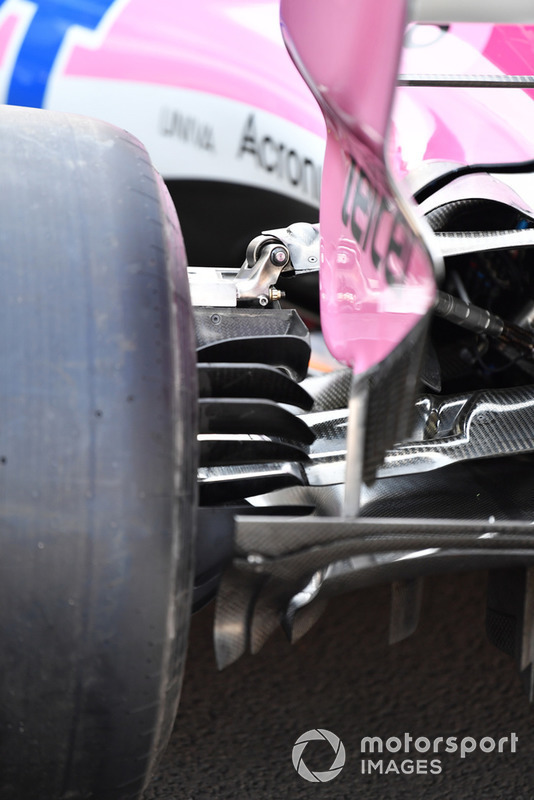 A look at the outer section of the diffuser and rear brake duct fins on the Force India VJM11. 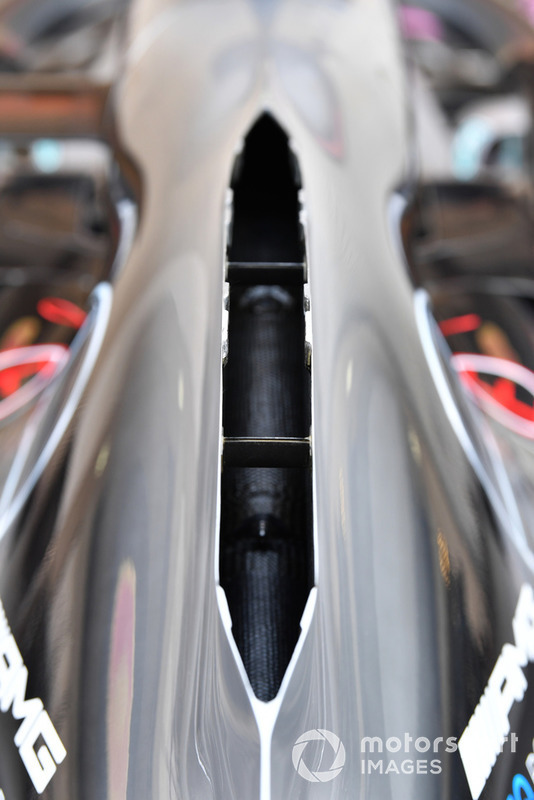 Mercedes will once again utilise the open spine, or chimney-style engine cover, to help evacuate heat generated by the powerunit. 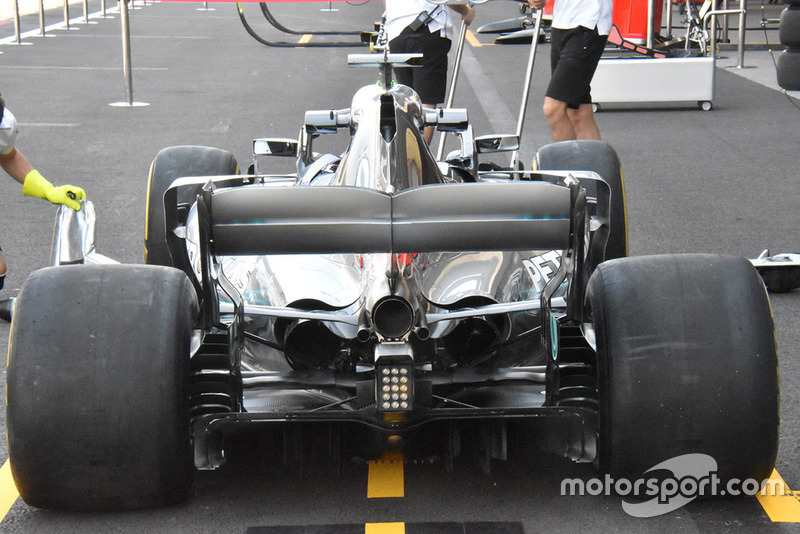 A look at the entire rear end of the Mercedes W09 shows the level of cooling it requires for the challenges of the Mexican Grand Prix circuit. 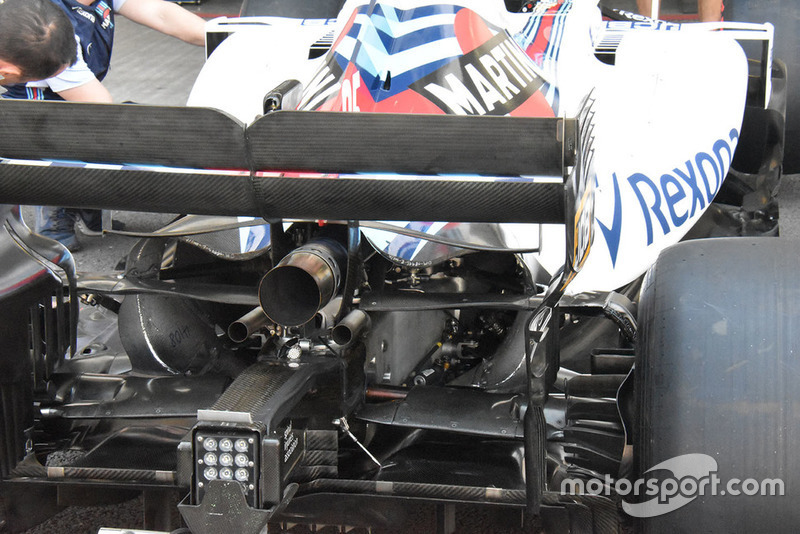 A huge cooling outlet is being utilised at the rear of the engine cover by Williams. Williams are also utilising its large, double element T-wing. 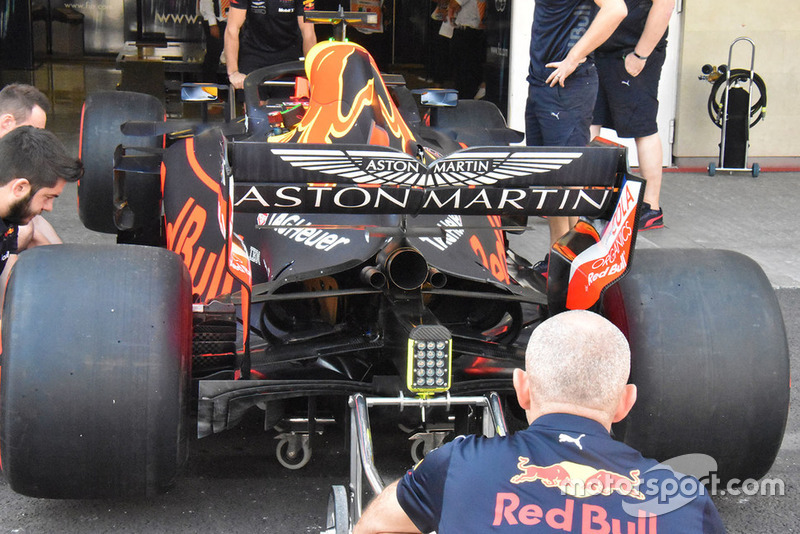 Red Bull has immediately duplicated the floor fins that Ferrari trialled at the last round in the United States. 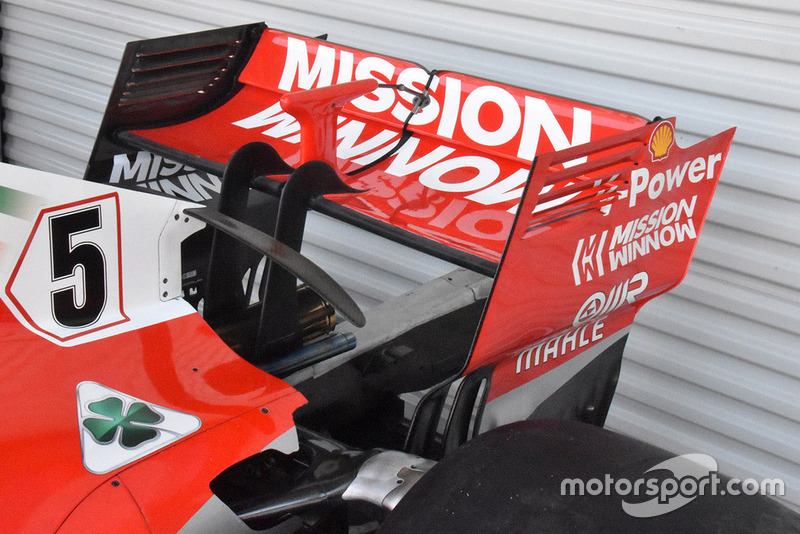 The high-downforce rear wing set to be used by Ferrari in Mexico, but note it does not have the offset strakes utilised in previous rounds. 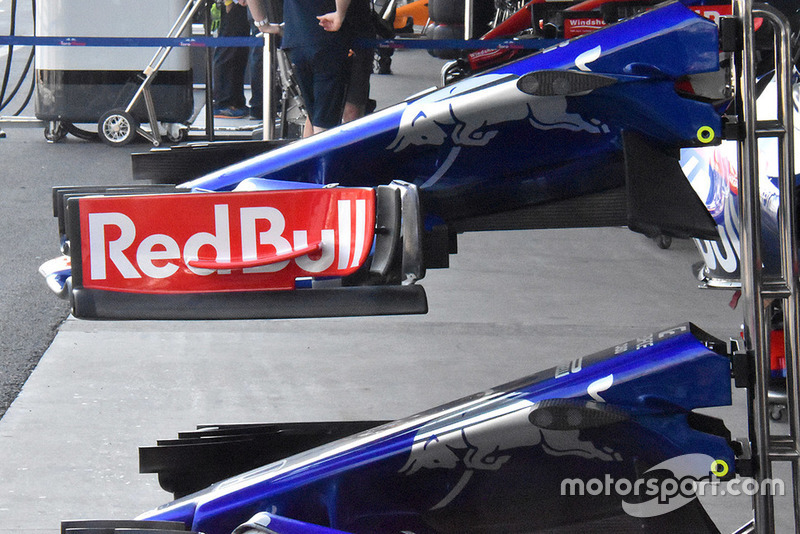 The new front wing briefly tested by Toro Rosso in the US was not raced, but it now features an additional flap at the back of the endplate. 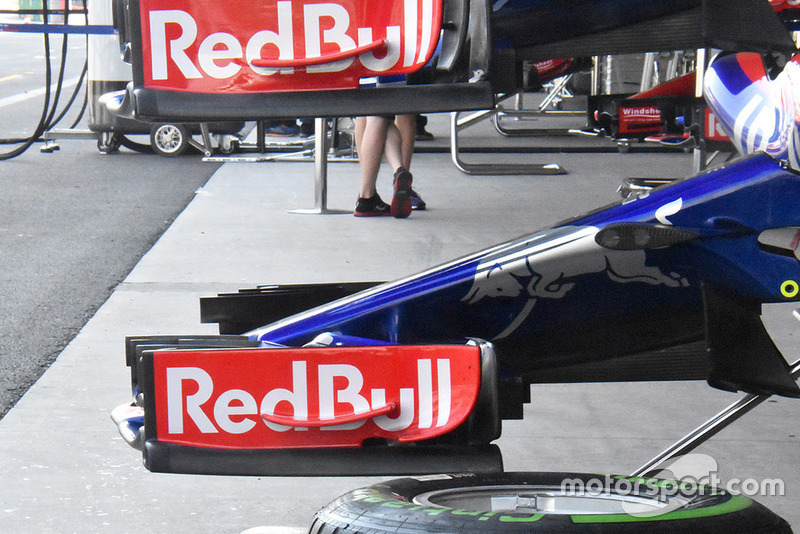 For comparison, the older specification front wing endplate on the STR13 that extends further back.